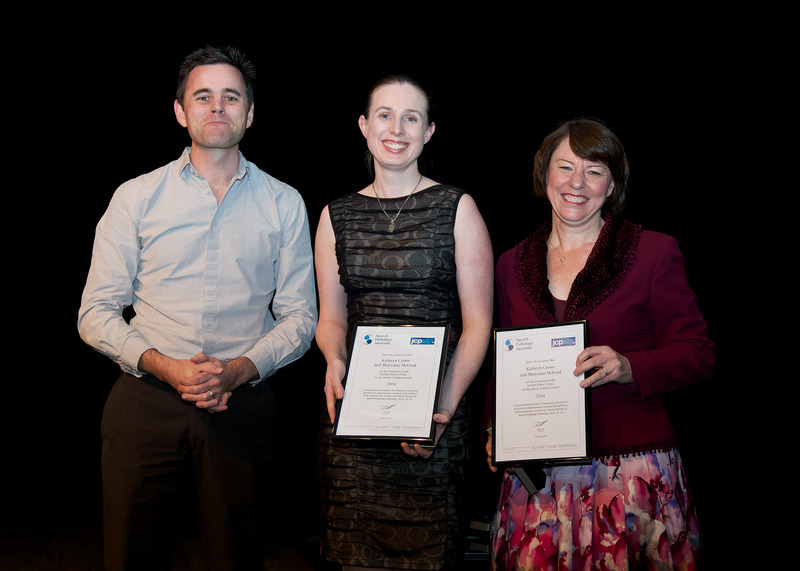 Professor Sharynne McLeod and Dr Kate Crowe recently received the Journal of Clinical Practice in Speech-Language Pathology’s Editor’s Prize for 2014 for their journal article ‘Communication choices: Translating research to practice for professionals working with children with hearing loss’. Their research shows parents are driven by advice from professionals, their children’s access to hearing aids and cochlear implants, children’s intervention experiences, children’s future opportunities, practicalities of communication, and creating a sense of belonging for their children. Professor McLeod, from the University’s Research Institute for Professional Practice, Learning and Education (RIPPLE), said “parents are committed to finding the best possible communication pathway for their child and take a number of factors into consideration when doing so”. “Speech pathologists and educators will be able to better support families and their children by understanding the different characteristics, experiences, and perspectives that parents bring to the task of making decisions about their children’s communication,” she said. Results showed Australian children with hearing loss and their families use a diverse range of languages and many of these children use sign as part or all of their communication system. More parents than children were multilingual, and children were more likely to be multilingual at home than in their early intervention setting. “Approximately 20 per cent of parents used more than one spoken language at home, compared to only 13 per cent of children,” Dr Crowe said. Their children’s sense of belonging motivated families’ decisions to use speech and sign as part of the communication system. “The practicalities of different communication modes for children and families were often mentioned as important, as was the need for children to experience belonging,” Dr Crowe said. The research findings will help professionals and organisations to develop information and services that cater for the languages and communication modes used by Australian children with hearing loss and their families, allowing families greater access to and engagement with intervention and education services. Professor Sharynne McLeod and Dr Kate Crowe are available for interview. Please contact CSU Media for more information. Photo caption: Editor of the Journal of Clinical Practice in Speech-Language Pathology Dr David Trembath, Dr Kate Crowe and Professor Sharynne McLeod. Photo courtesy of Speech Pathology Australia.